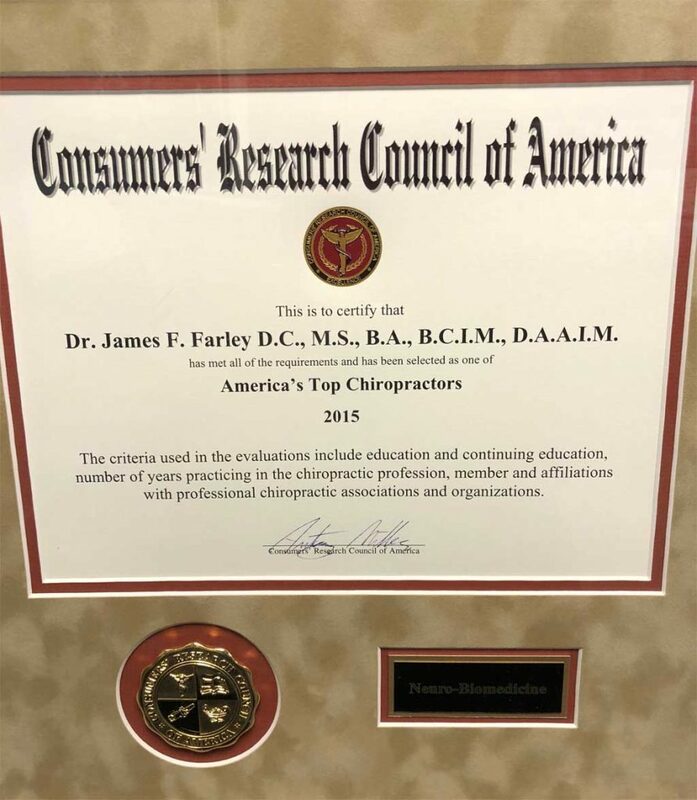 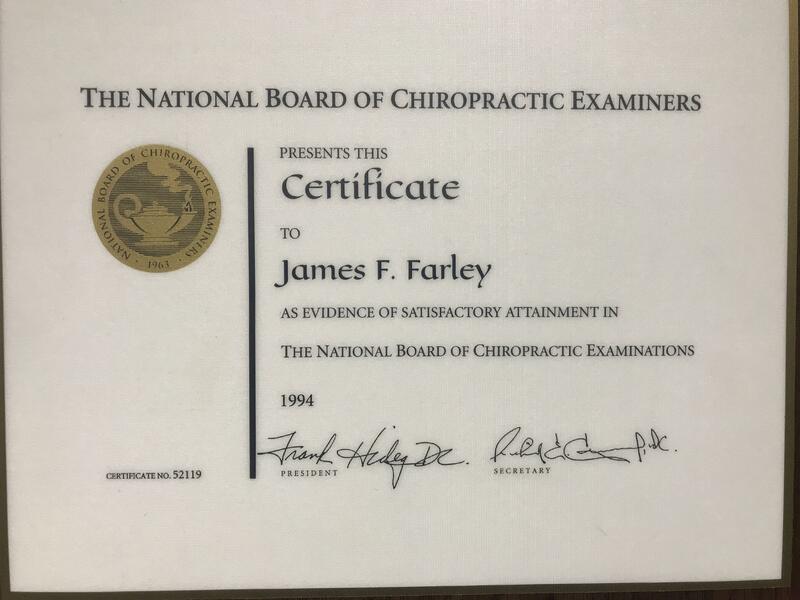 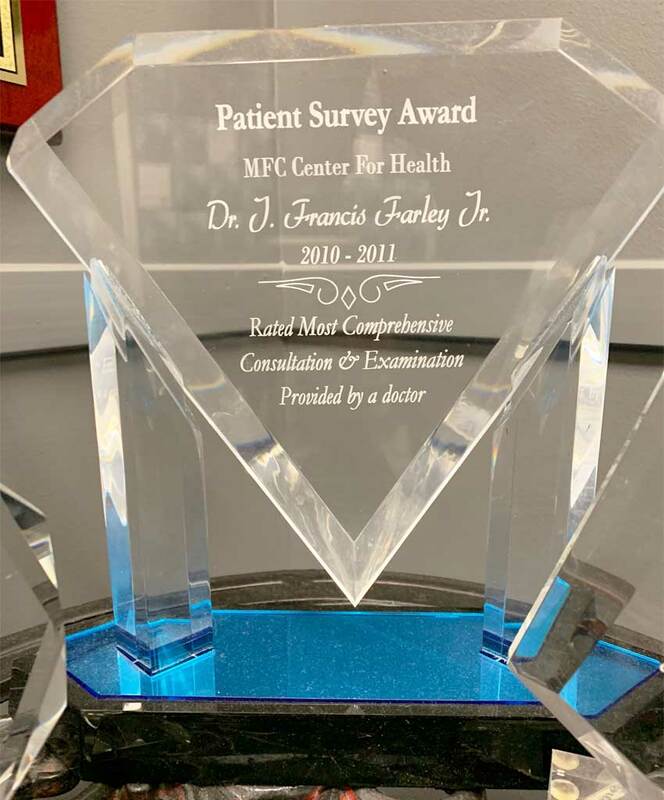 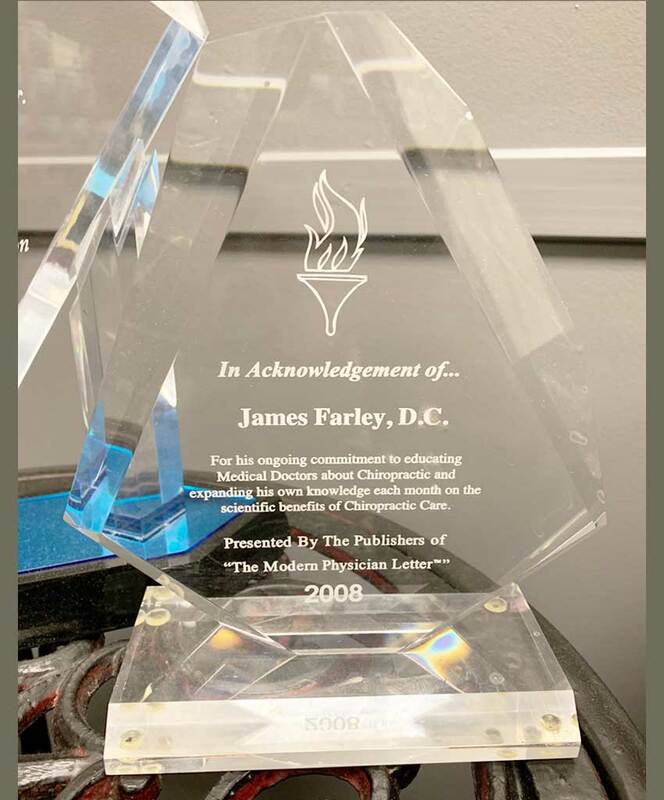 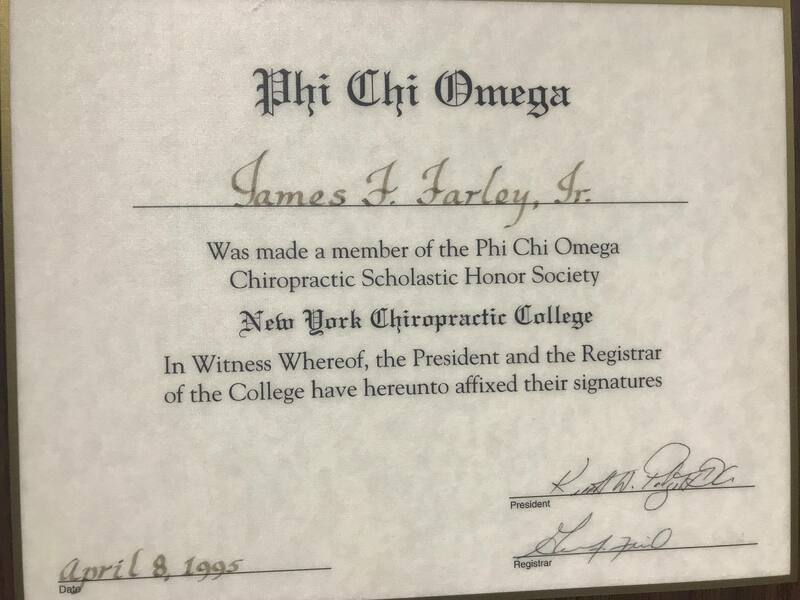 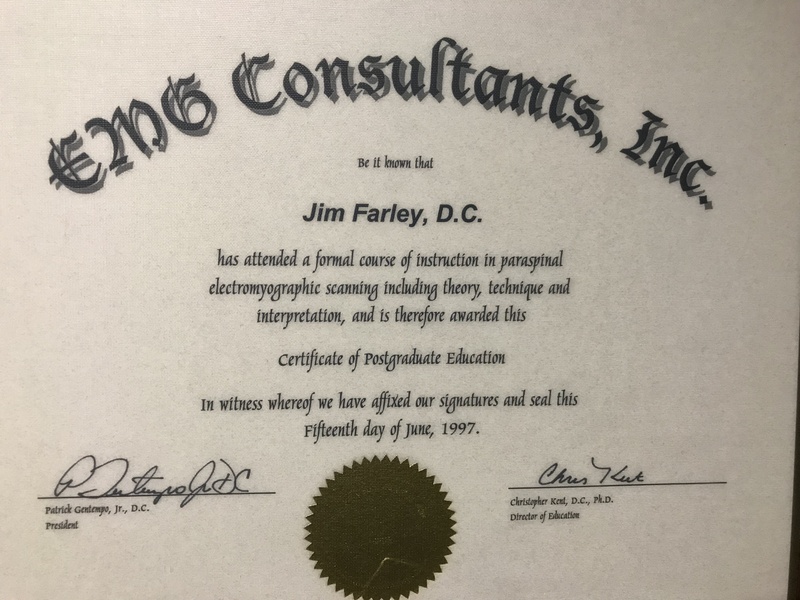 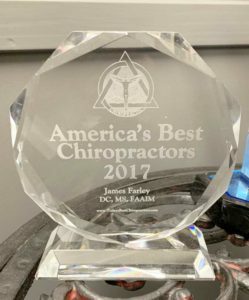 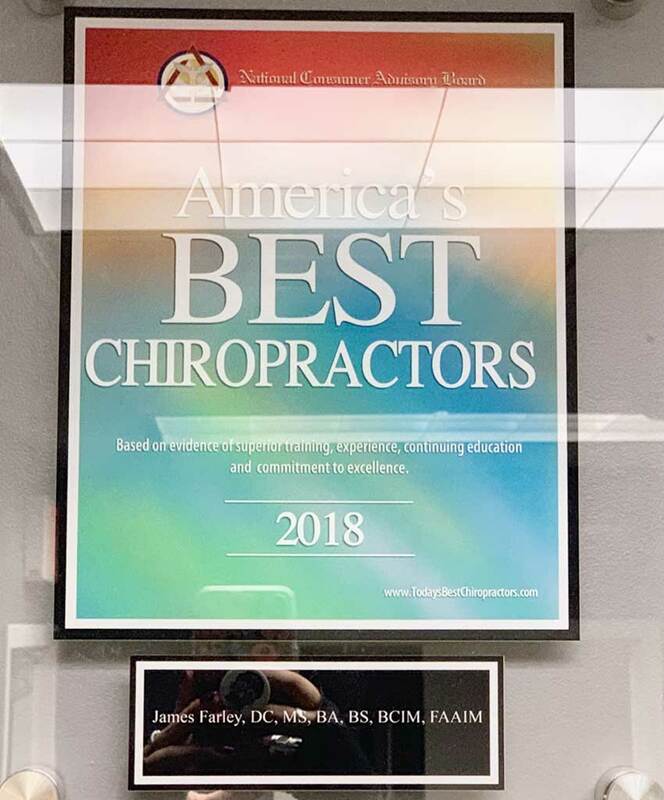 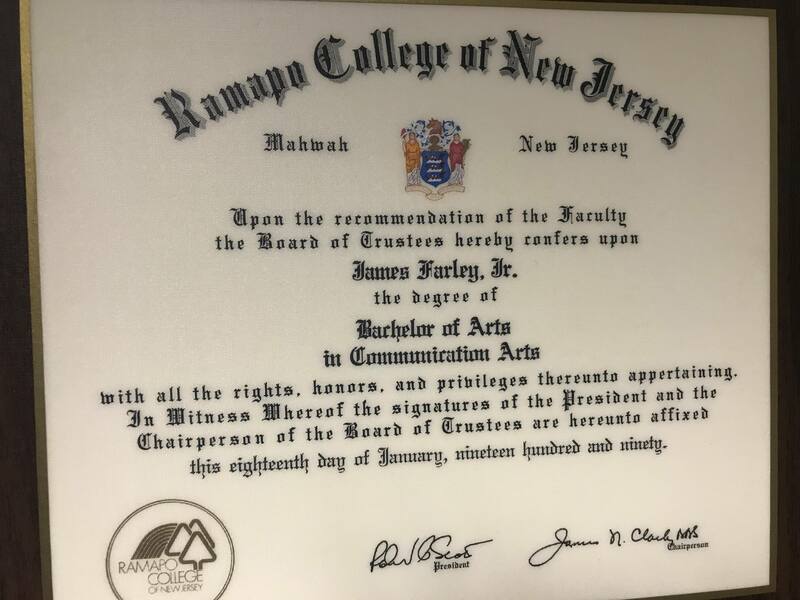 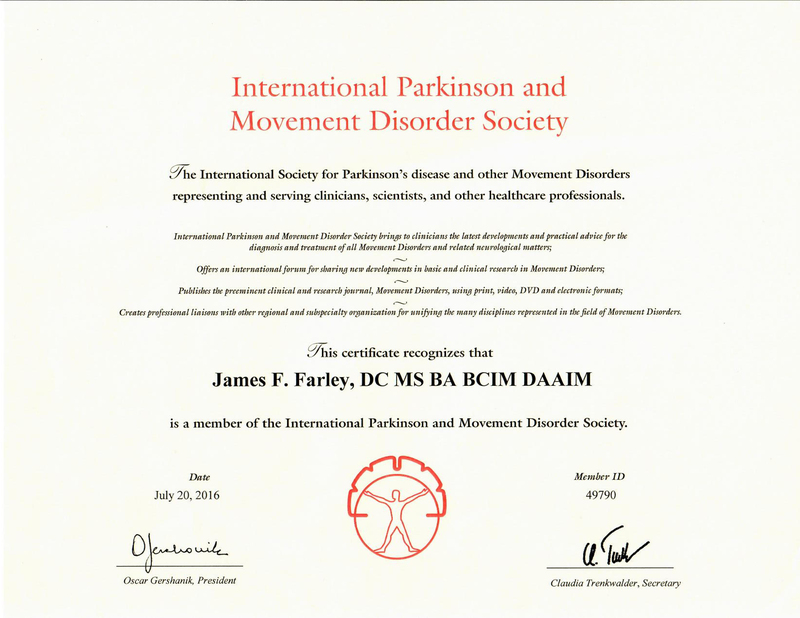 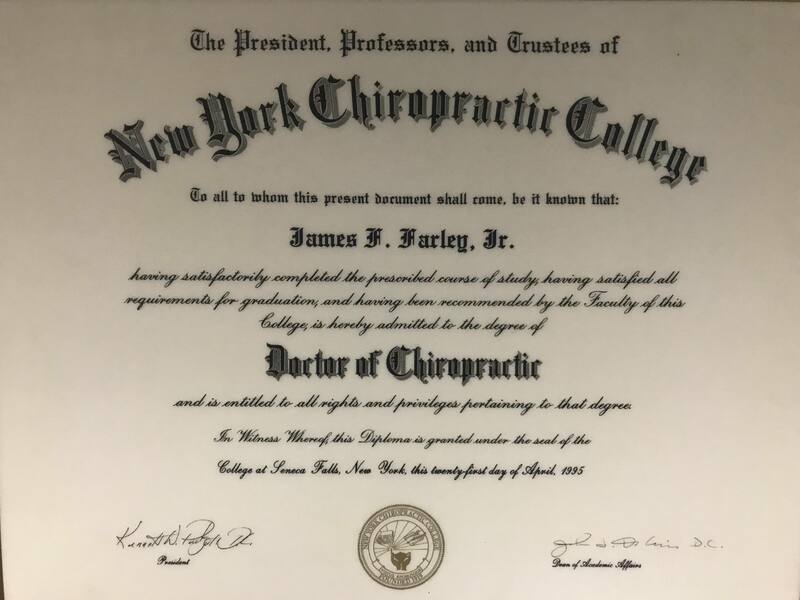 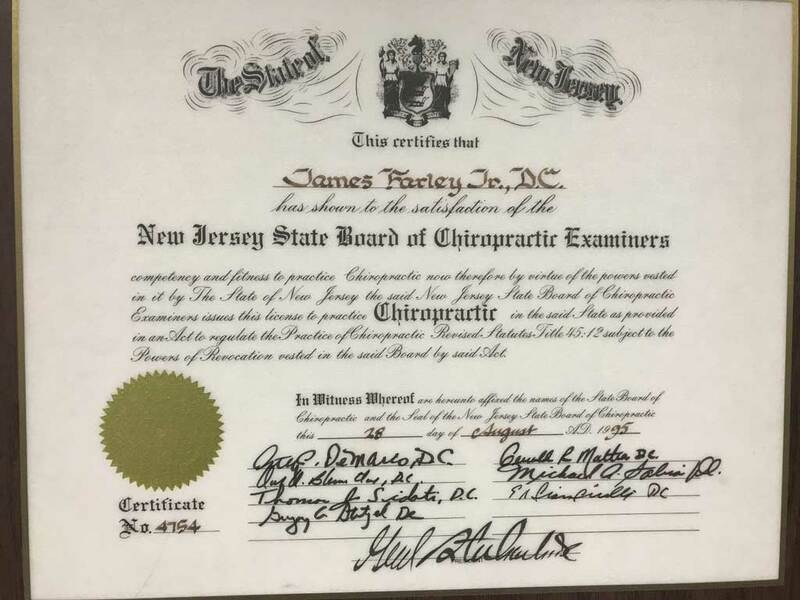 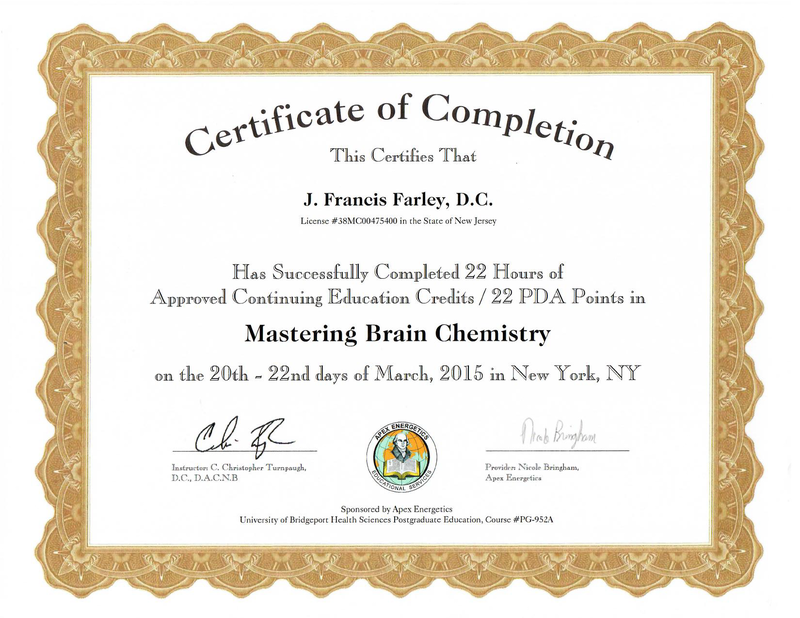 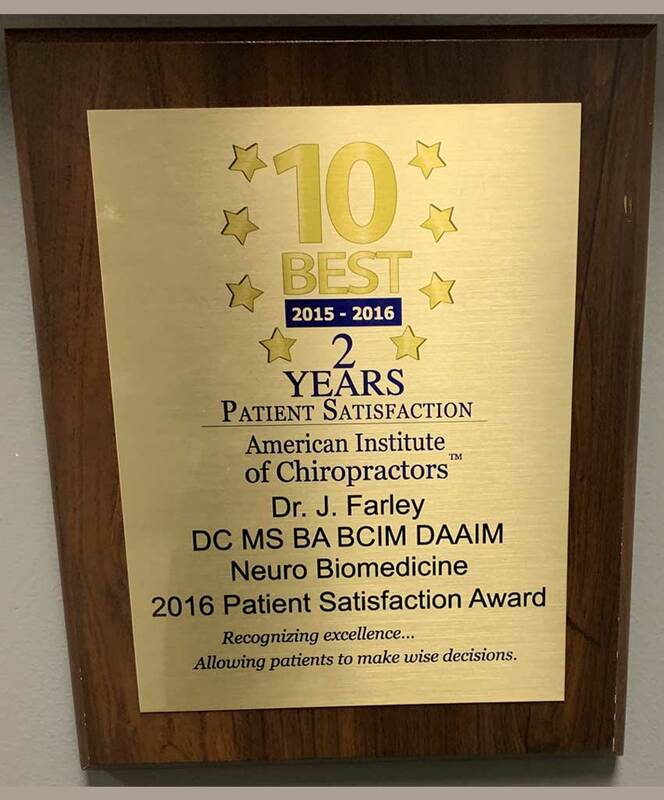 Dr. Farley earned his Bachelor of Arts degree from Ramapo College of New Jersey in 1990, and was rewarded with his Bachelor of Health Sciences from Park University 1991 (awarded 2016). 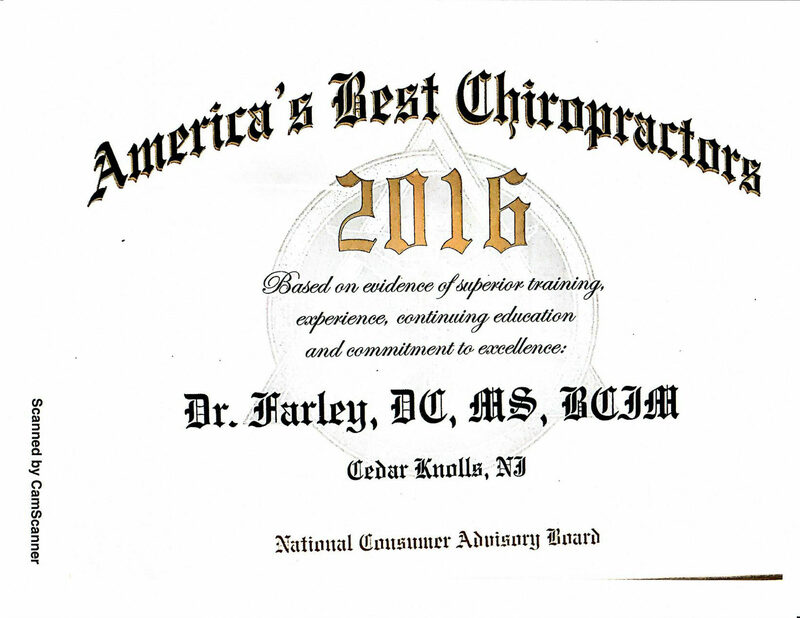 He earned his Doctor of Chiropractic from New York Chiropractic College with honors in 1995. 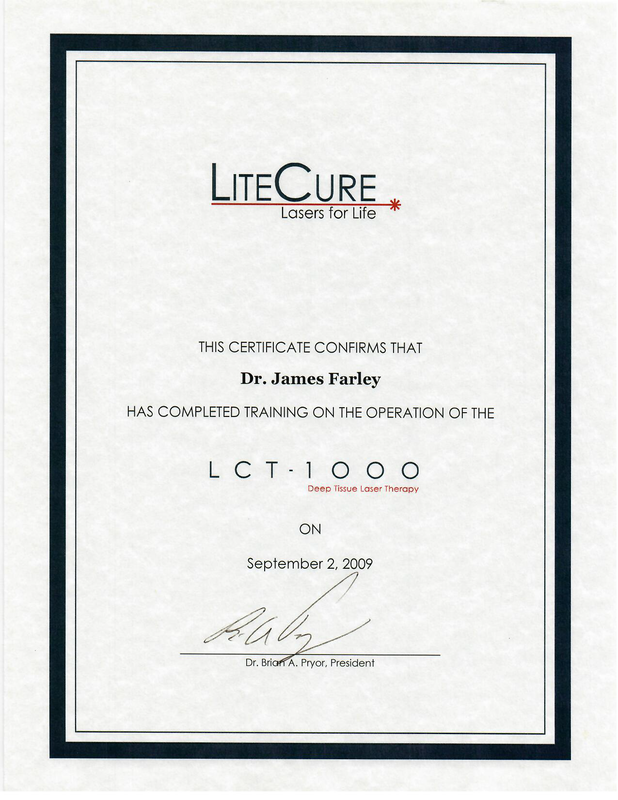 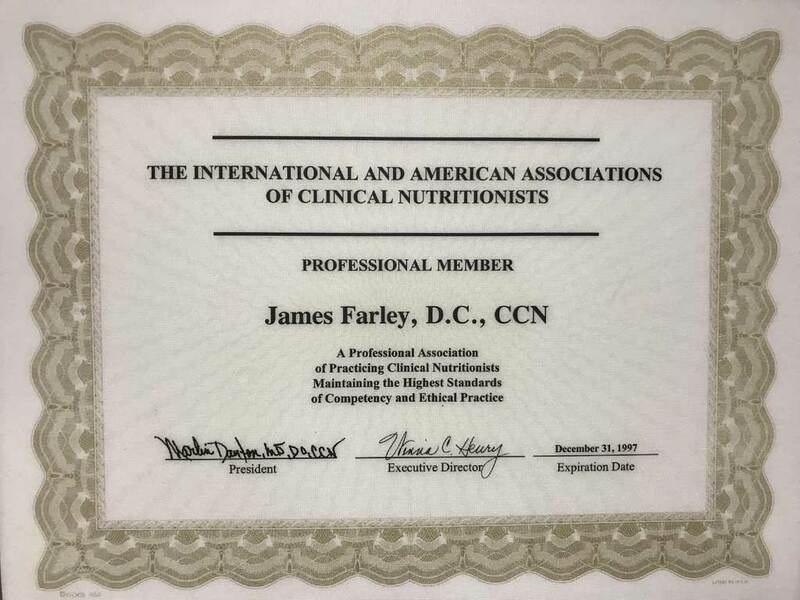 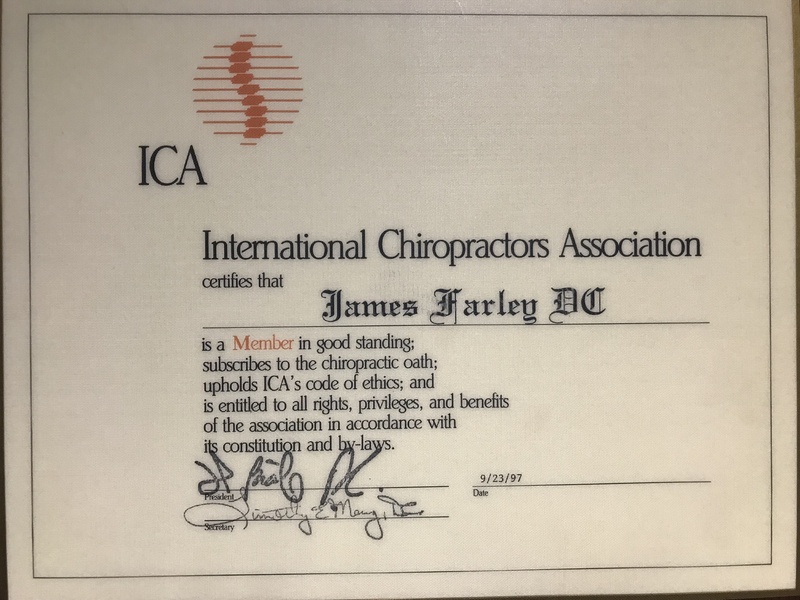 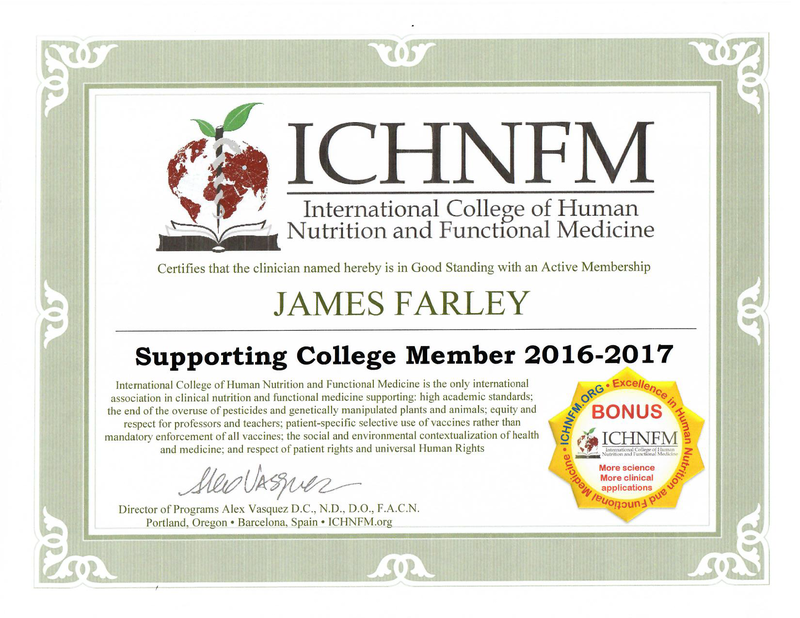 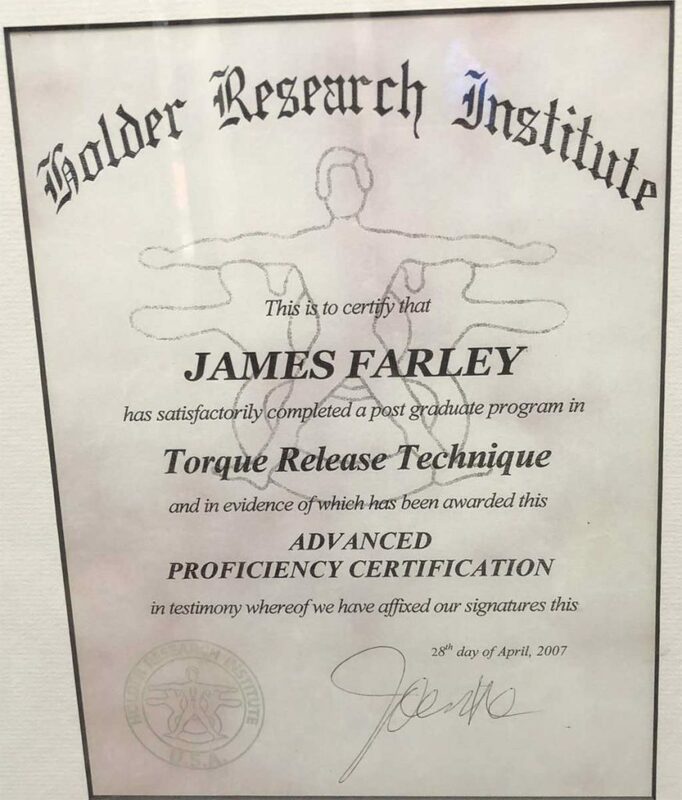 Dr. Farley then continued on to earn his Masters of Science in Human Nutrition from the University of Bridgeport in 1996. 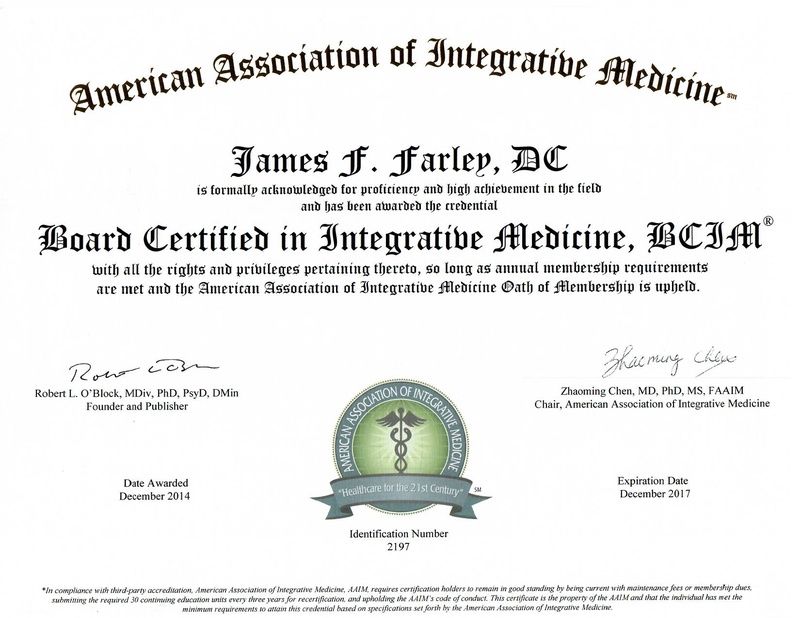 He is board certified in Integrative Medicine and a Fellow of the American Association of Integrative Medicine. 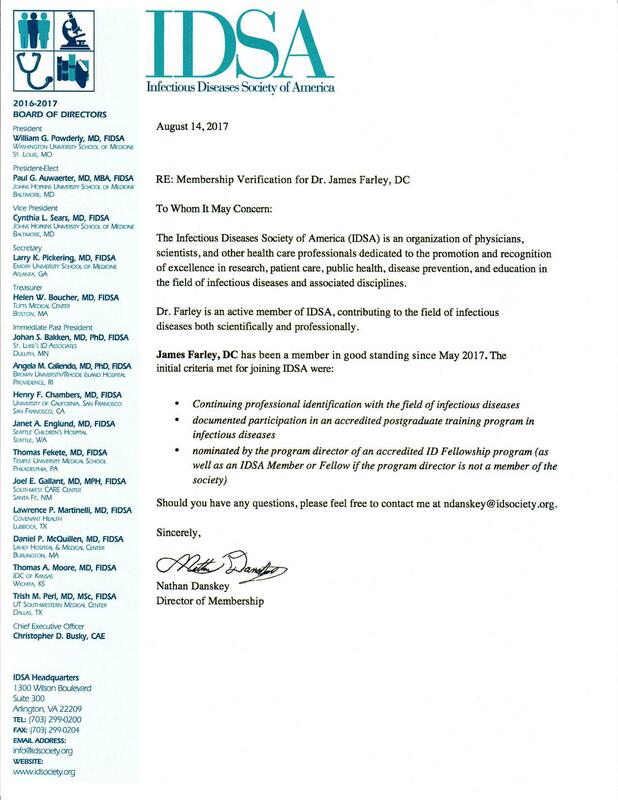 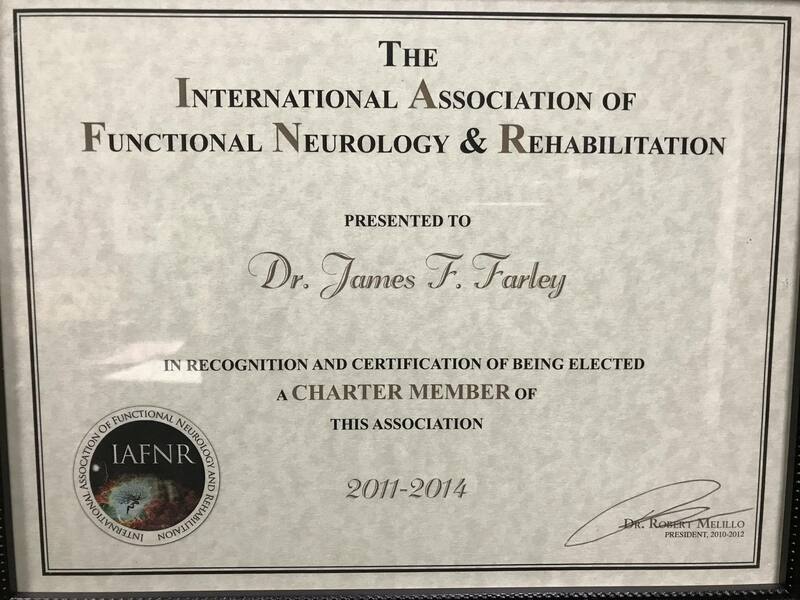 He is a member of the ANJC, a Charter Member of International Association of Functional Neurology and Rehabilitation, a Member of the International Parkinson and Movement Disorder Society, a Fellow at the American Institute of Stress, and a Member of the Infectious Disease Society of America. 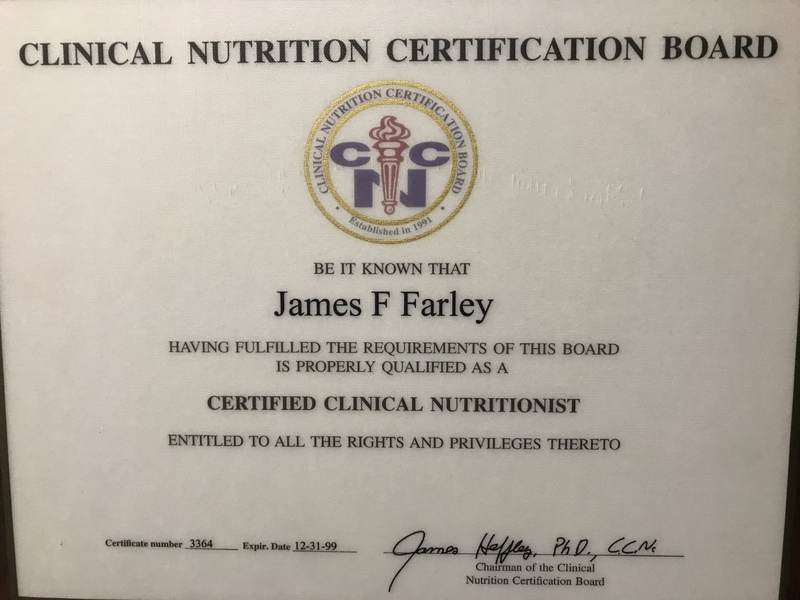 He was a Diplomate of the Certification Board for Nutrition Specialist and a Diplomate of The American Clinical Board of Nutrition from 1996-2002. 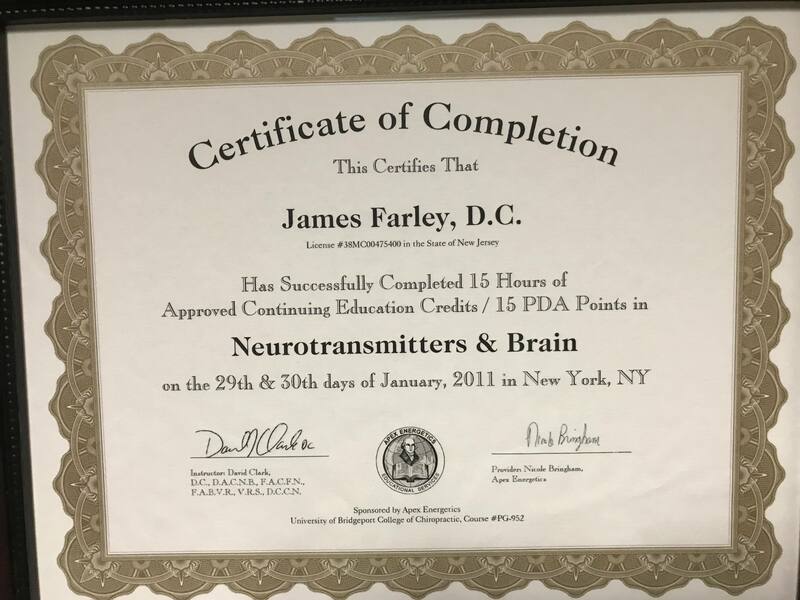 He has a certified office for peripheral neuropathy. 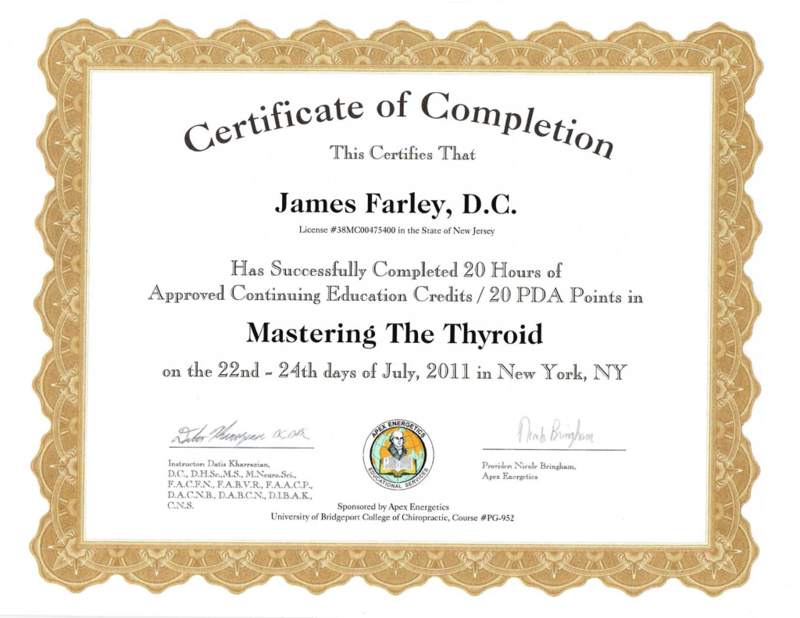 He is the author of Creating healABILITY (available on Amazon.com), and currently producing Thyroid healABILITY, Peripheral Neuropathy healABILITY, and his latest venture Cancer and healABILITY. 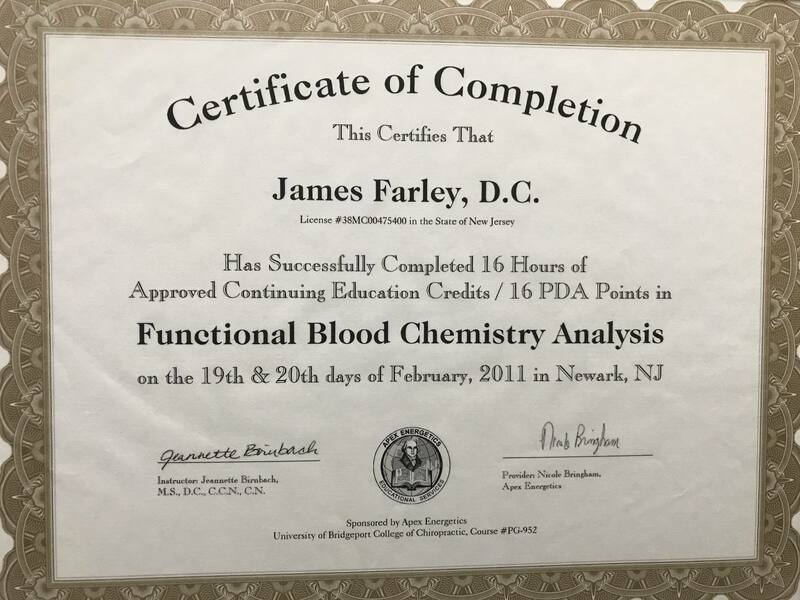 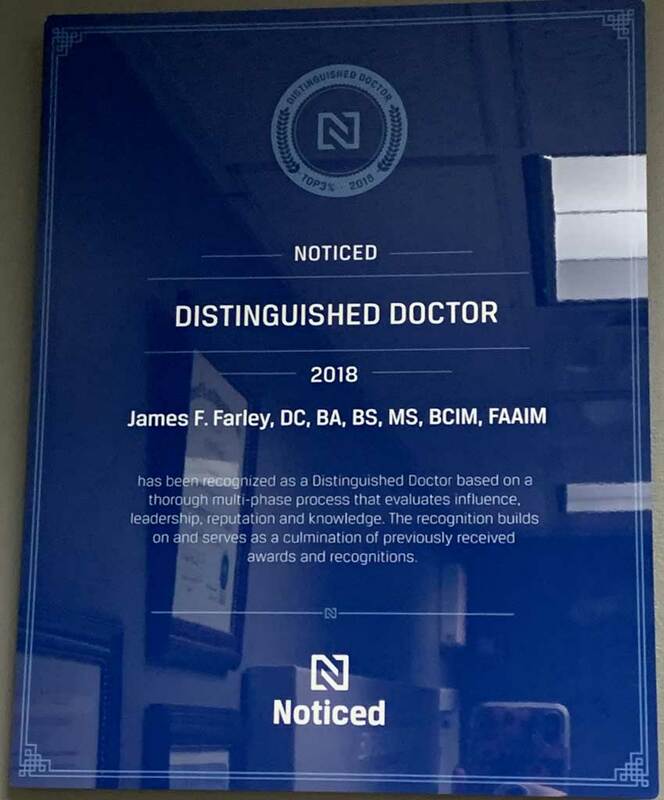 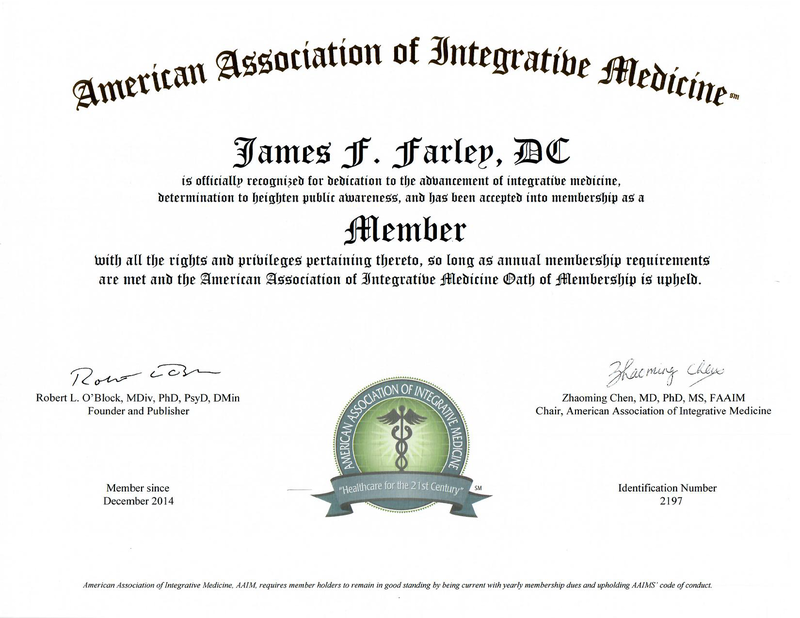 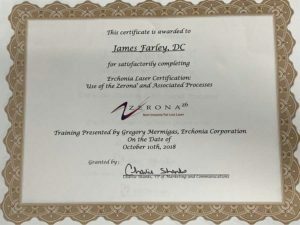 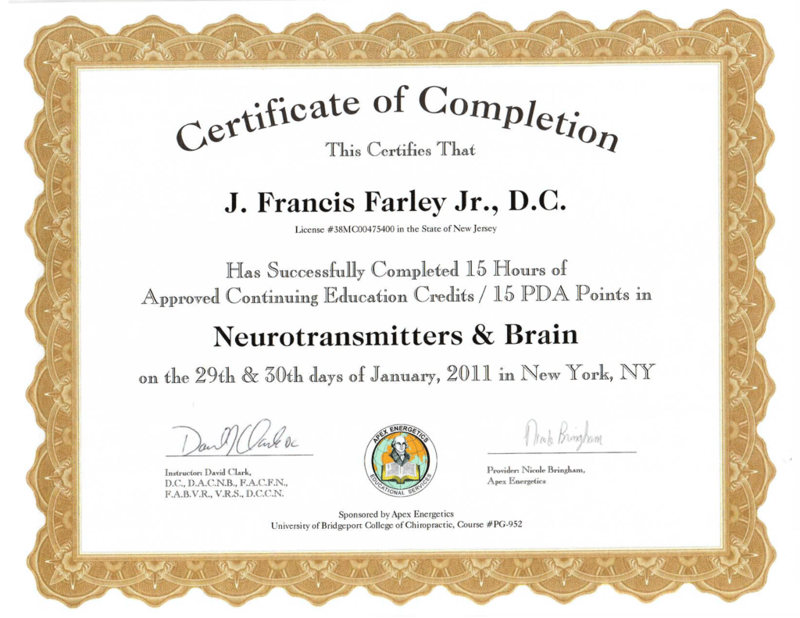 Dr. Farley is one of a handful of doctors that spends hundreds of hours taking post graduate education in Functional Blood Work, Laboratory Analysis, Functional Neurology, Autoimmune, Endocrinology, Thyroid, The Brain and Neurotransmitters. 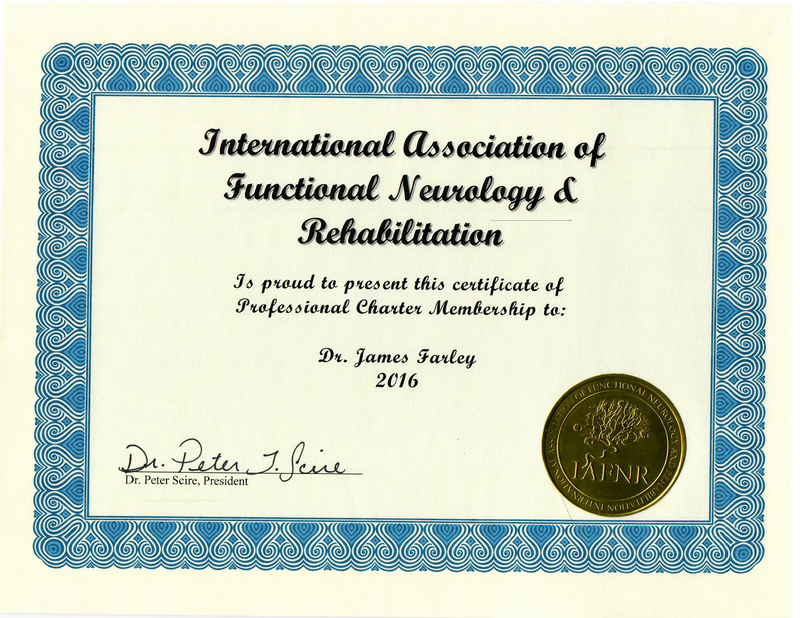 As well as Nutritional, Dietary, Endocrine and Immunological considerations for Neurobehavioral Disorders diagnosis and nutritional management. 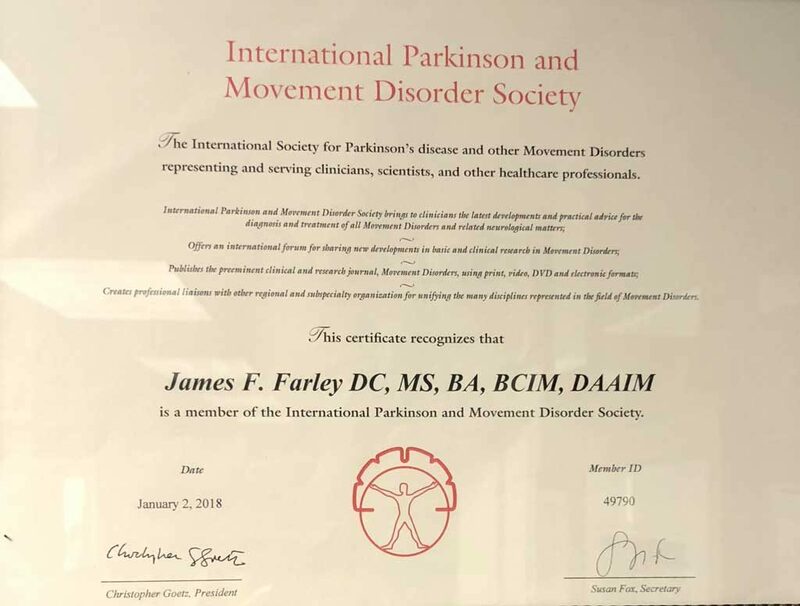 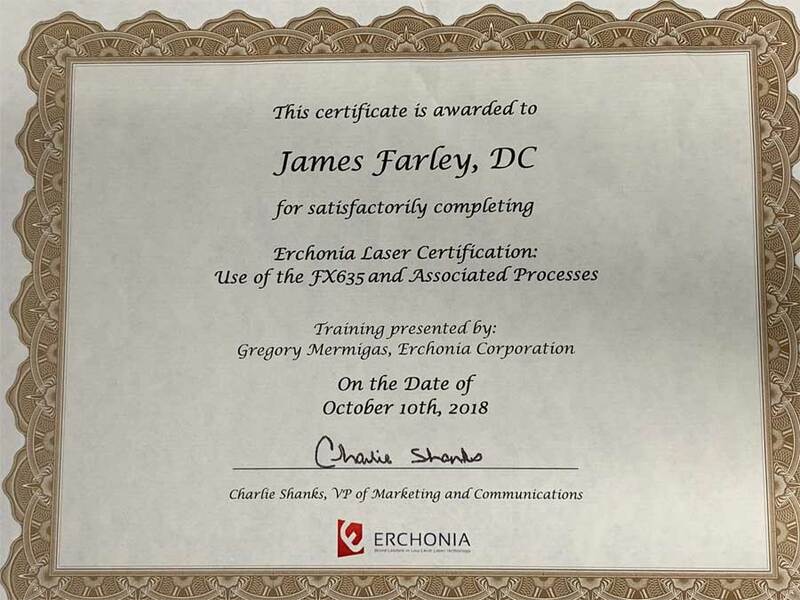 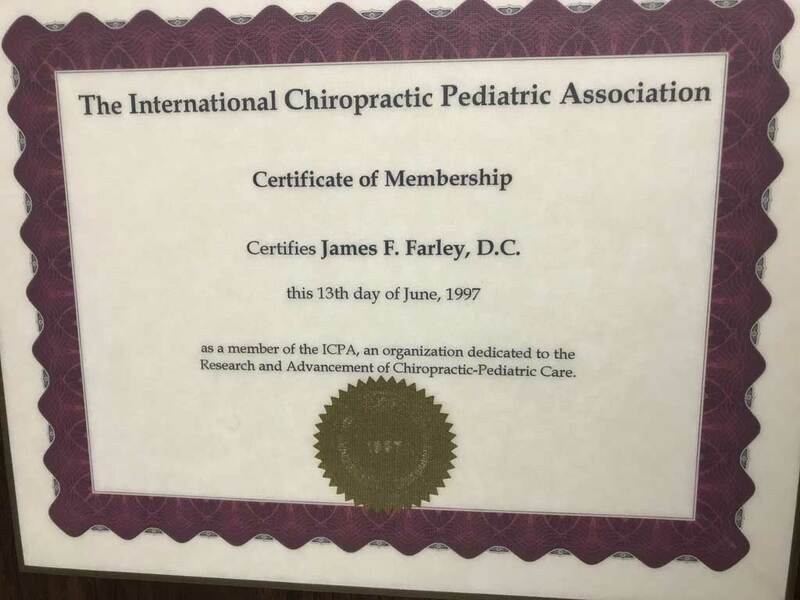 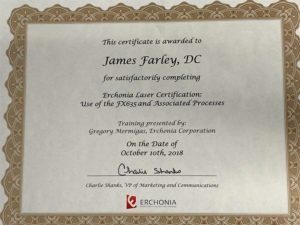 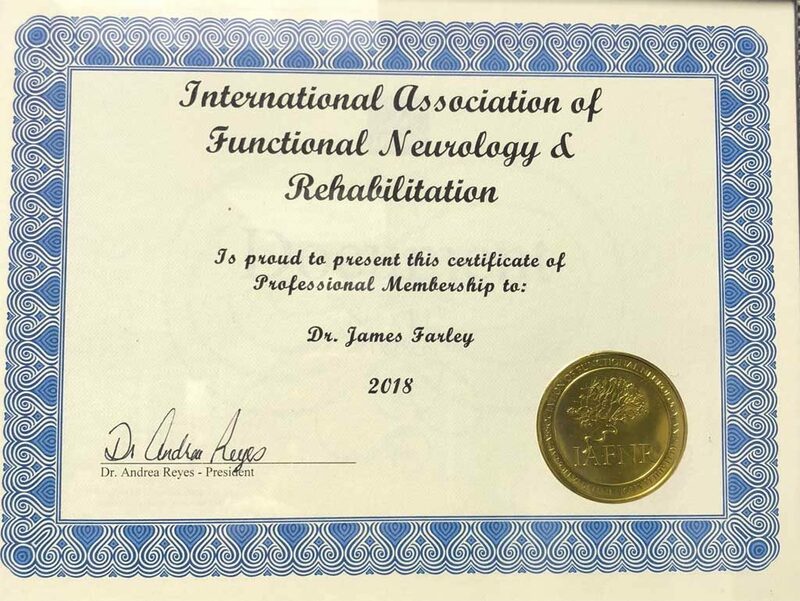 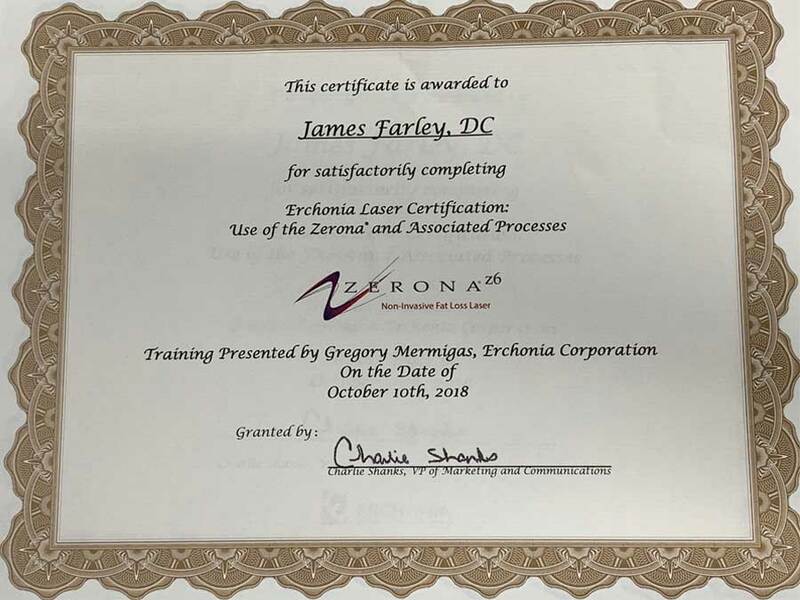 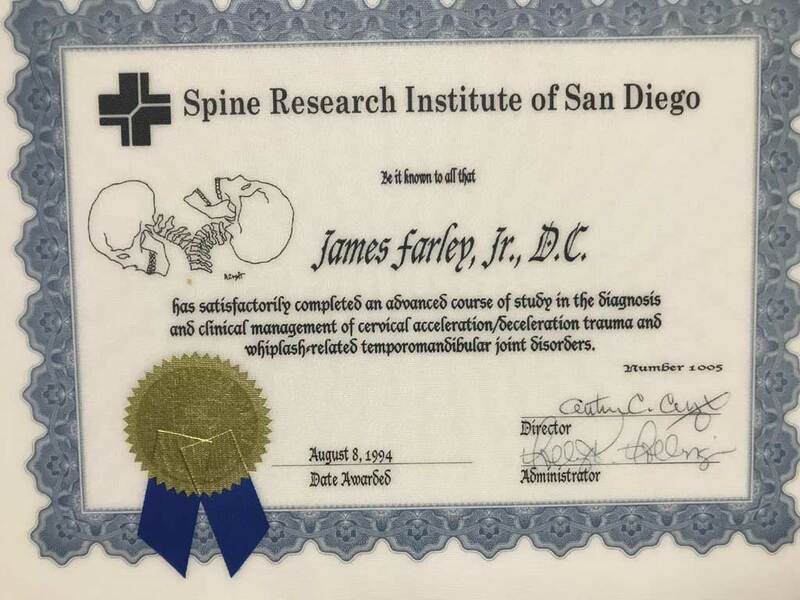 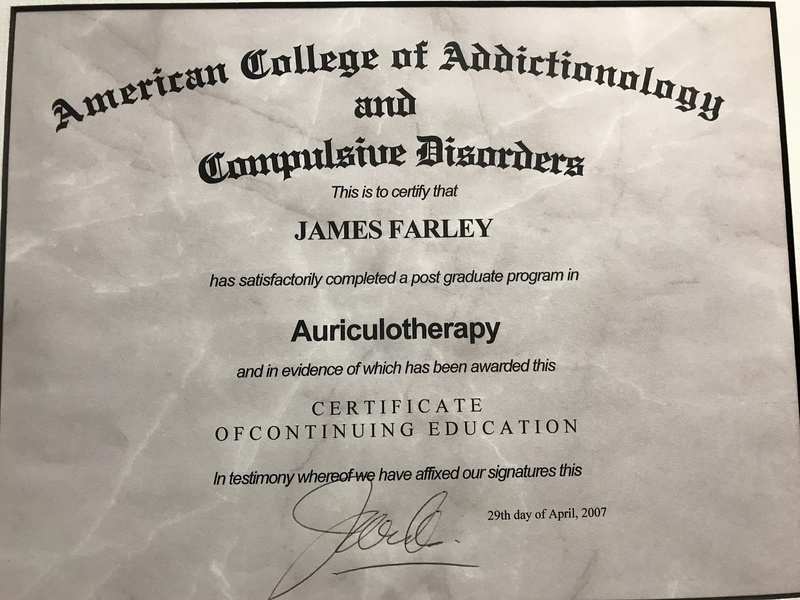 Dr. Farley is currently in training for the American Board of Childhood Development Disorders and at the Carrick Institute for a Diplomate in Functional Neurology. 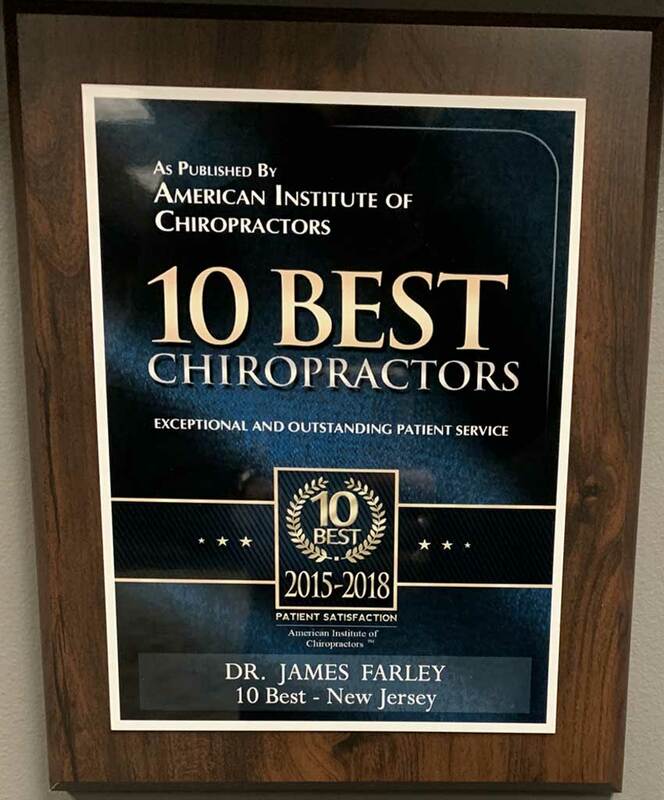 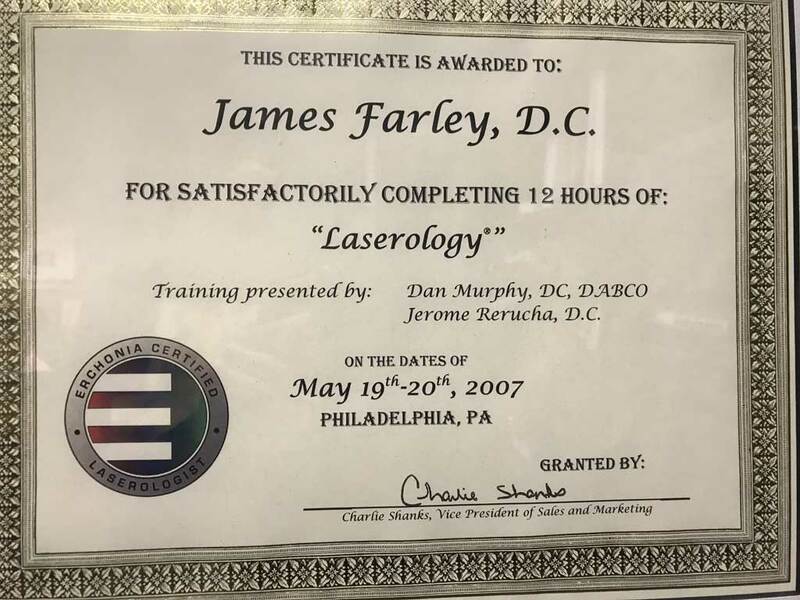 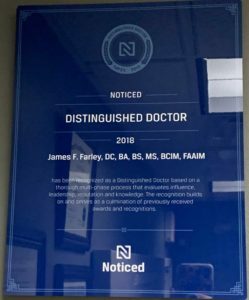 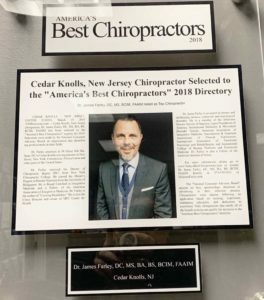 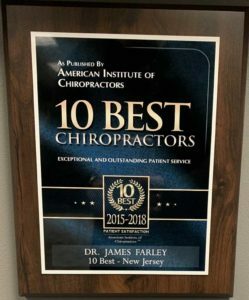 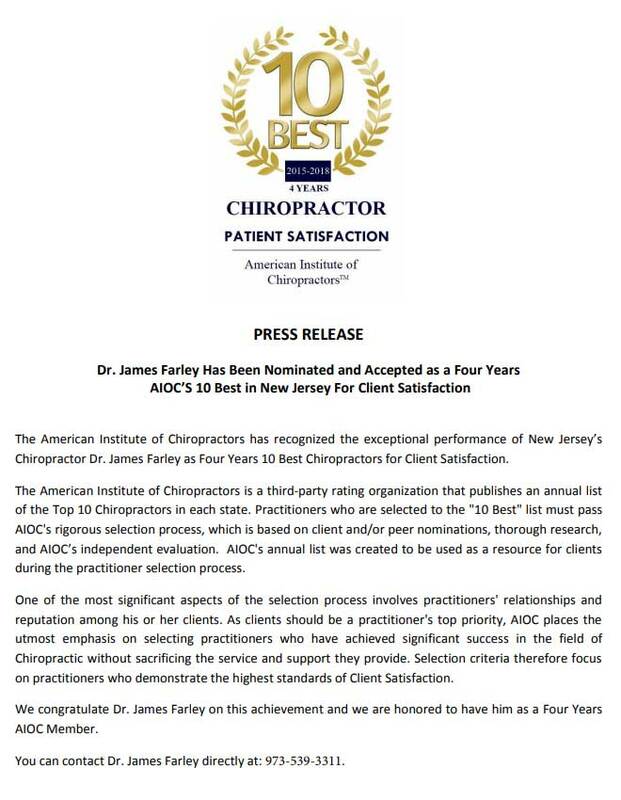 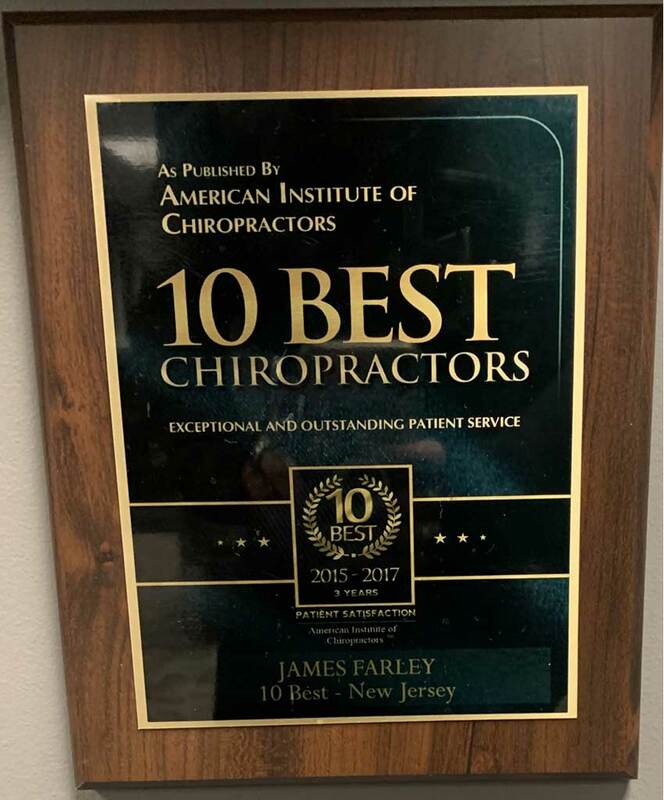 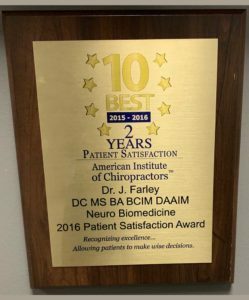 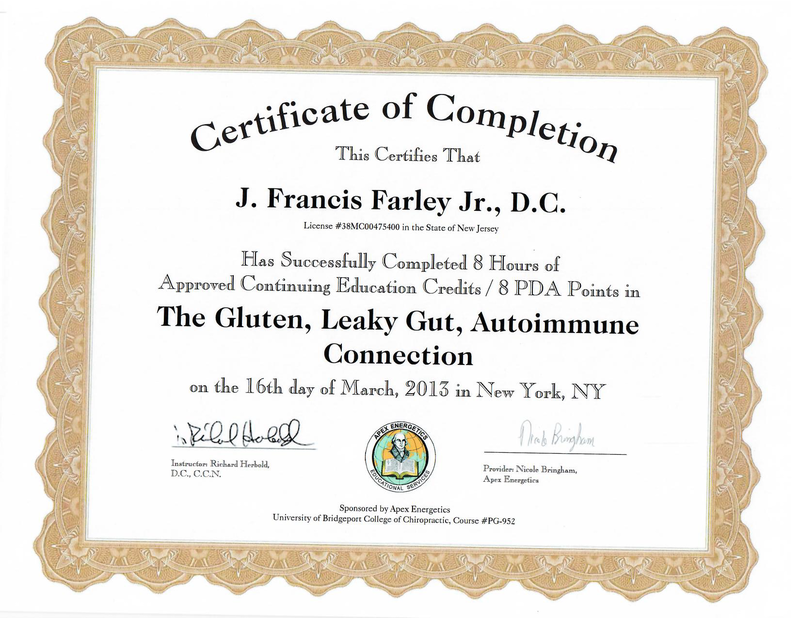 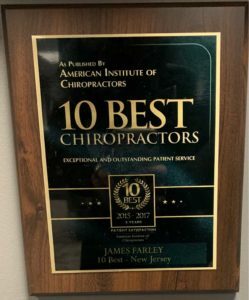 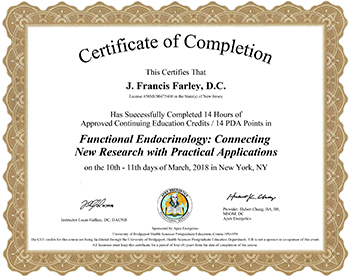 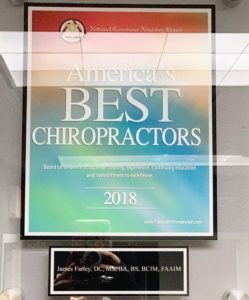 Dr. Farley has built a practice from scratch since 1995 in New Jersey that now has a waiting list for people to come to consult and meet with him that have chronic and challenging immune, endocrine and neurological disorders. 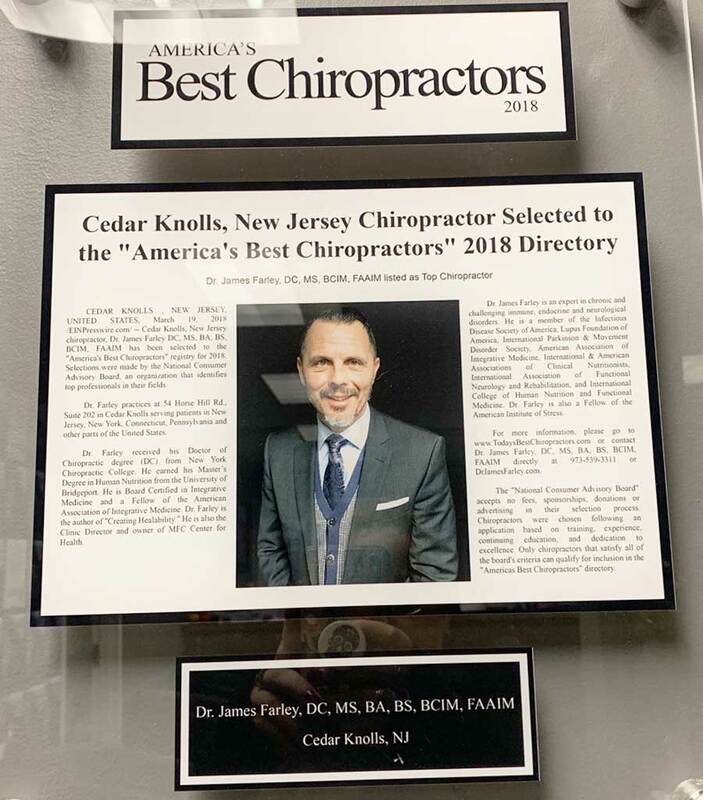 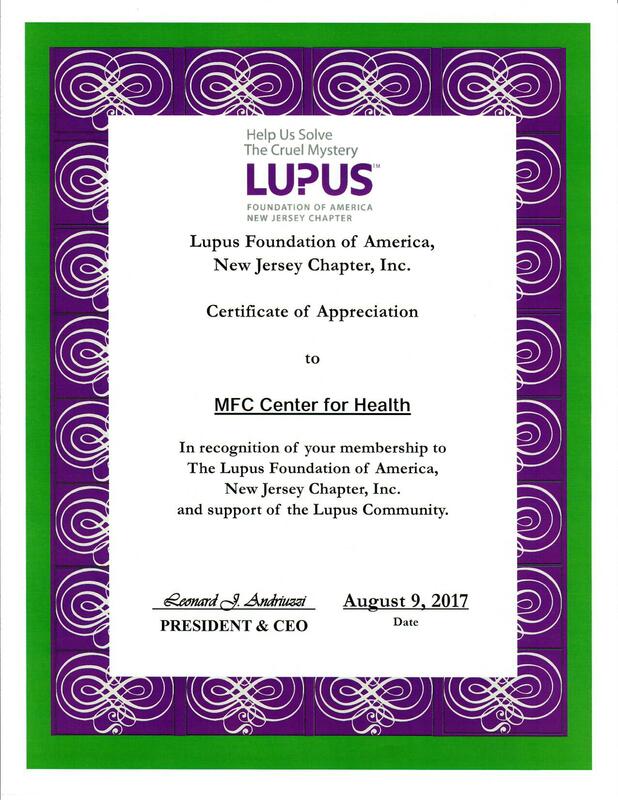 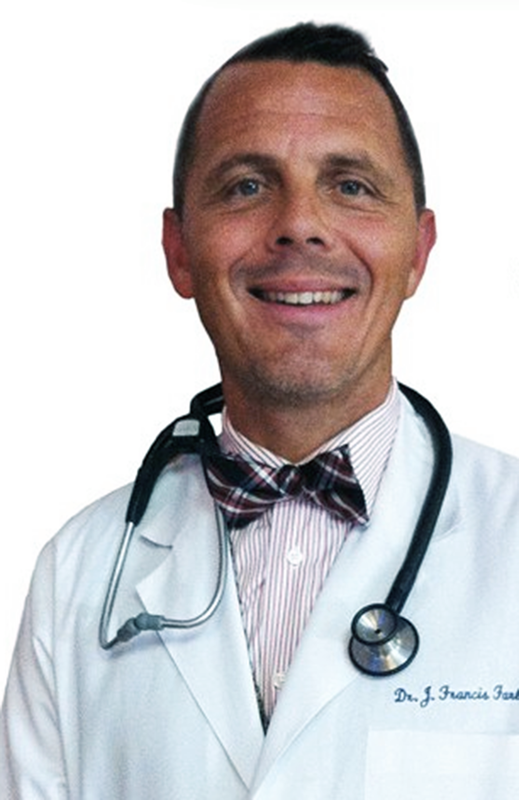 He is the Clinic Director and owner of MFC Center for Health in Cedar Knolls NJ, New Jersey. 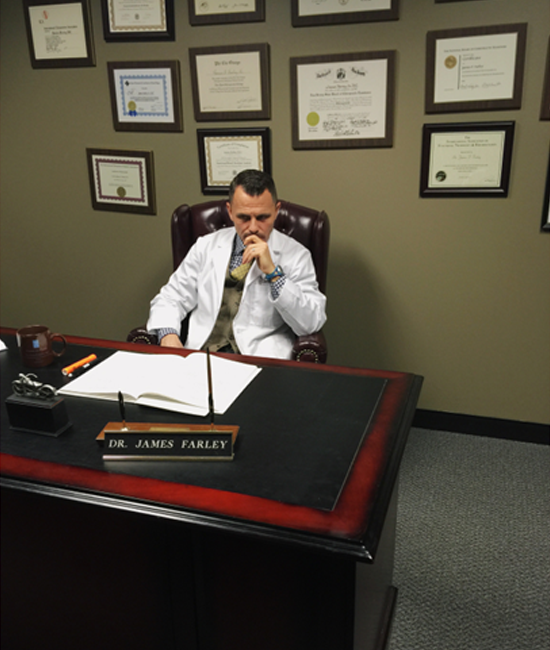 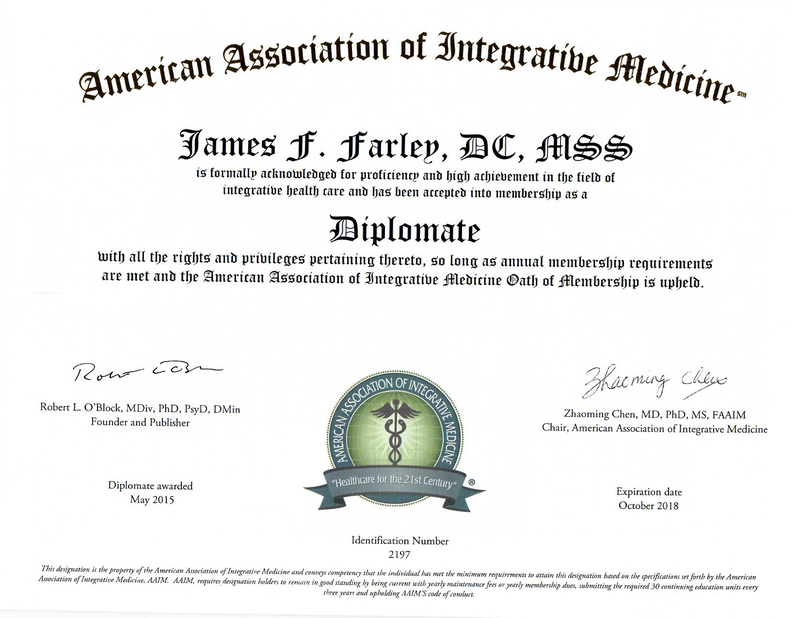 Dr. Farley is a trusted and dependable doctor, advisor, consultant, health coach and creator of healABILITY concepts. Since 1995, he has cared for well over 4,500 patients and provided minimally 225,000 treatments for numerous chronic unresponsive health conditions. 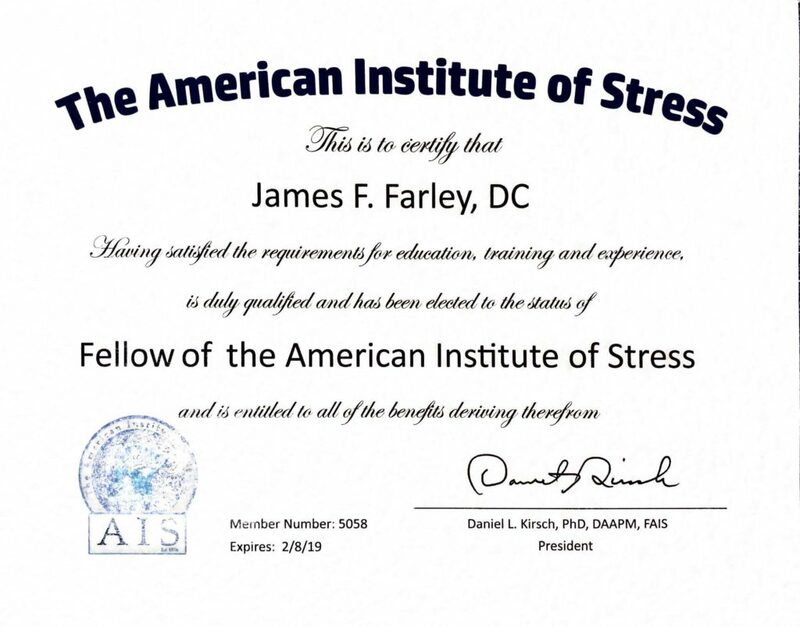 He leads one of the largest and possibly most successful practices of its kind in the United States. 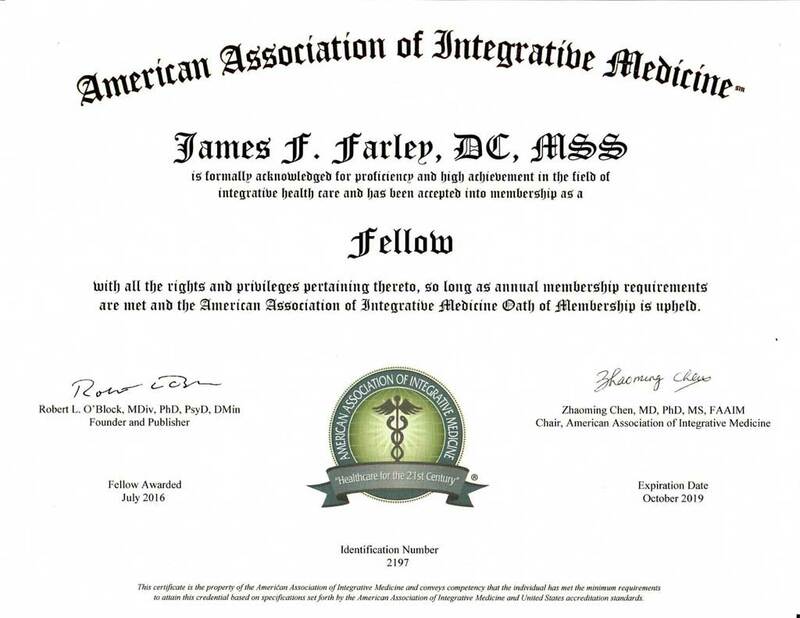 He is increasingly called upon by numerous professionals seeking guidance on improving patients’ outcomes and results. 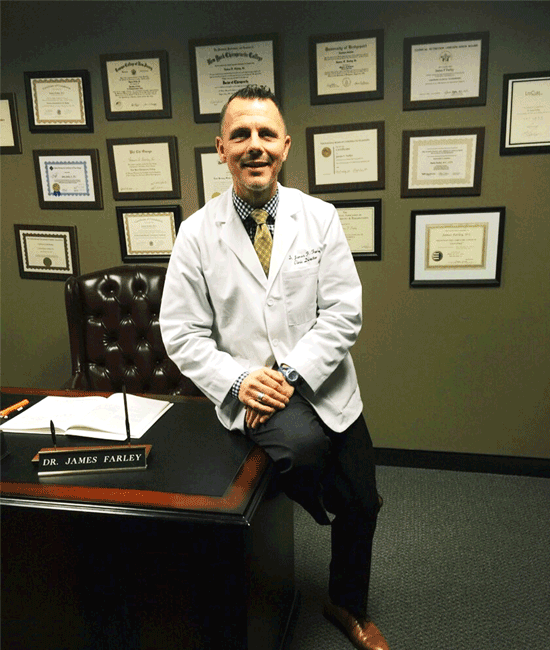 Dr. Farley has been with his beautiful wife Susan since 1986 and has three wonderful children: Ella, Ava and Anders. 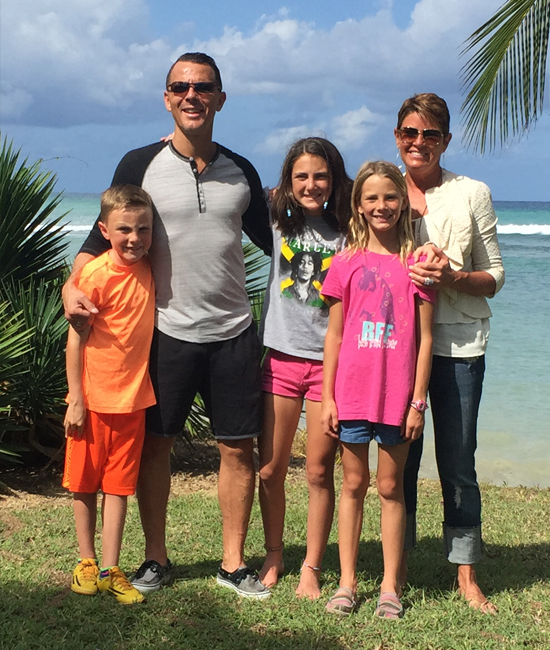 He enjoys time with his family, soccer, running, the New Jersey shore, cross training, meditation, and is forever open to learning.